For months I've been wanting to repress this gorgeous Tarte blush in Glisten. It has been broken ever since I bought it, and every time I use it little pieces fall out, which is waste of money and product! I've read countless posts and seen many videos on repressing makeup (the Beauty News ladies have it down to a science) and it seemed straightforward, but I didn't want to risk ruining a product that I really like. Finally, I decided to buy the isopropyl alcohol needed to repress makeup and test out the process on a blush that was getting difficult to use. The Clinique Pink Blush has been in my Project Pan for ages and I'm not seeing any progress with it, probably because the product was all pressed to the sides! 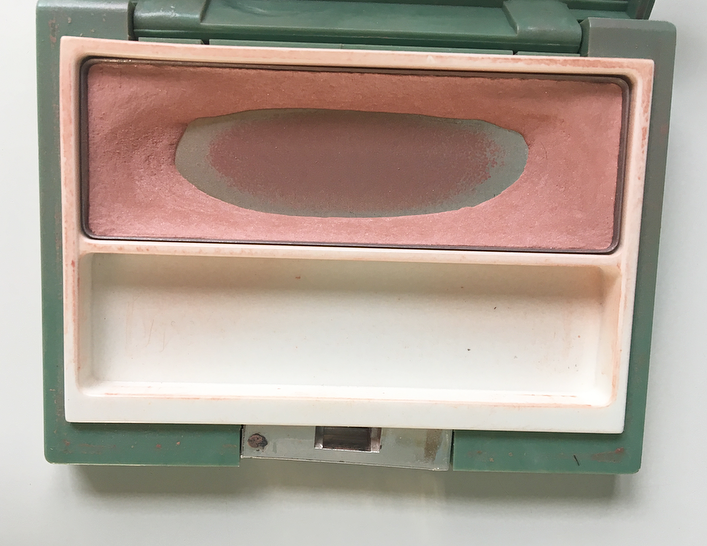 I figured it would be a lot easier to use if it were repressed and if it didn't work I still got a lot of use out of the blush and wouldn't be too upset to not have it anymore. 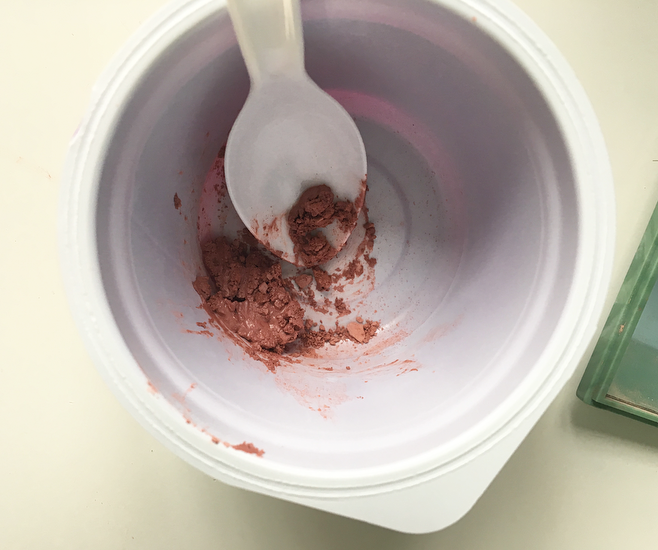 The supplies I used were mostly things I had around the house: a butter knife to break up the blush, a plastic container to mix it with the alcohol, 91% isopropyl alcohol, a plastic spoon to mix the alcohol and the product, and paper towel to repress it and clean up any messes (spoiler alert: there were messes). I broke up the blush, which was super satisfying, and dumped it into the plastic container. I broke it up into even smaller chunks and then slowly added the alcohol. You don't want it to be too saturated, just add enough alcohol that the product starts to clump together as you're mixing it. I then put it back into the container, realized that there wasn't enough product to evenly cover the whole pan, and concentrated it on only one half of the pan. I pressed it with the paper towel and my hands, but it you have an object the same shape as the pan that would work better. I cleaned up the sides of the blush and let it dry for about a day. 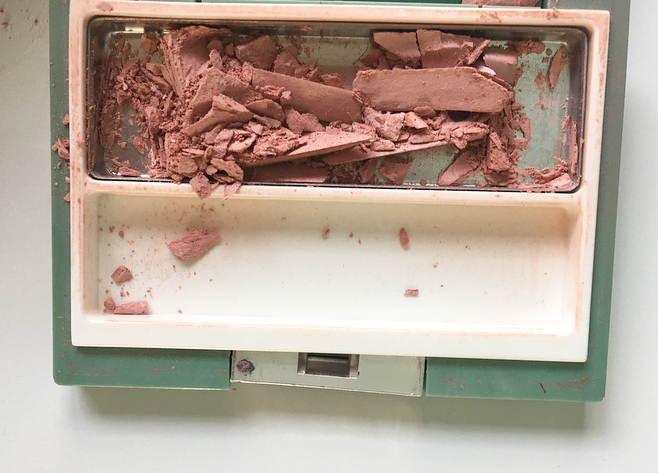 Some product definitely got wasted and either fell out of the container as a powder or was not completely scraped out of the plastic container, but it wasn't a lot and I'd rather have a useable blush than get that product back. I was so impressed with how well this method worked! I think the blush is actually softer and more pigmented than before I repressed it. It was a really old product, so I think repressing it brought some extra life to it. After how successful that was, I decided to repeat the process with the Tarte blush. 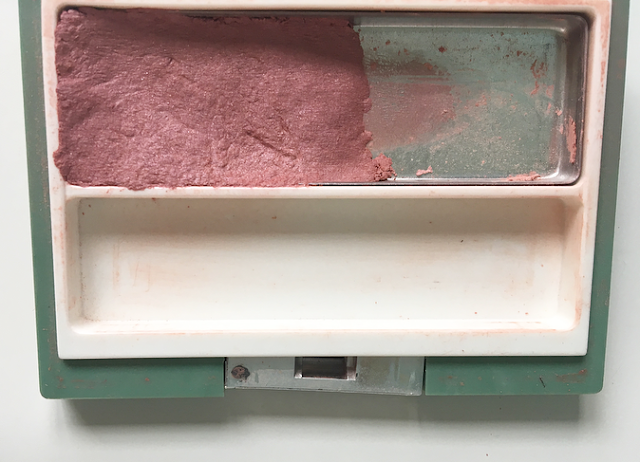 The biggest difference that I noticed was that when repressing it back into the container, a LOT of pigment seemed to be coming out of the blush. 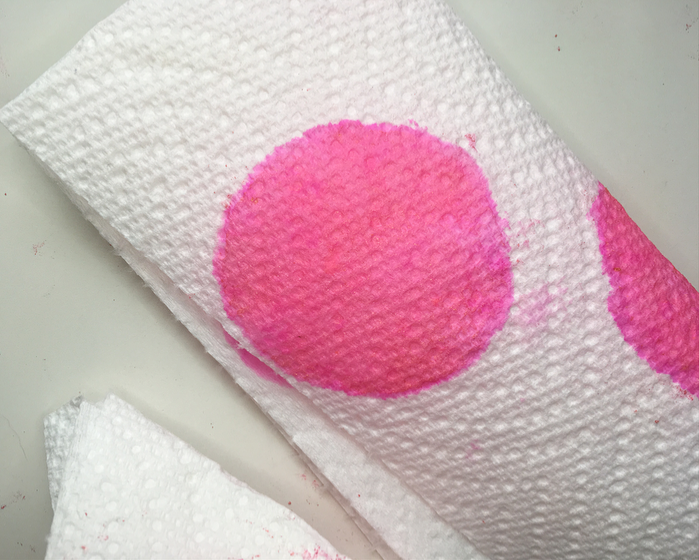 The paper towel soaked up a lot of hot pink alcohol, which wasn't the case with the Clinique blush. I was worried that it was sucking all of the pigment out of my blush, but now that it is dry I don't think it has. Now it seems good as new! If you have an explanation for the excessive pigment, please let me know! If you plan to do this, I definitely recommend using tools that you don't mind staining. The plastic container and plastic spoons I used were stained pink, and even my bathroom counter has some pink marks on it. I am definitely not an expert at this, so other types of alcohol may work better than the kind that I used! Overall I'm very happy I took the plunge and fixed these products myself. I'm actually looking forward to using the Clinique blush again and seeing if it is easier to use! The process took around ten minutes for each blush, plus a day or two to dry, and it wasn't expensive at all. Have you ever repressed a makeup product? How did it go? 16 comments on "Repairing Broken Makeup"
I had no idea you could do this to makeup products that are running low or broken - such a great plan! Cool! I will keep this in mind. Thank you for sharing! This is so helpful! I'll save this post for a reference. I have the Naked 2 palette but I never talk about it on my blog because I ordered it online, and 2 of the shades came completely shattered. I still used it a few times. I wanna start using it again, so I'll repair those shades and use this post as a guide! That's good to know! I think the color of the Tarte blush may have changed slightly, but otherwise these particular products seem okay. I would worry about eyeshadows though! Whoever came out with this hack is a true lifesaver! I dropped one of my new morphe shadows last week and was able to salvage it because of this! I have down this before and it worked really well. I have several products that I need to do this to.